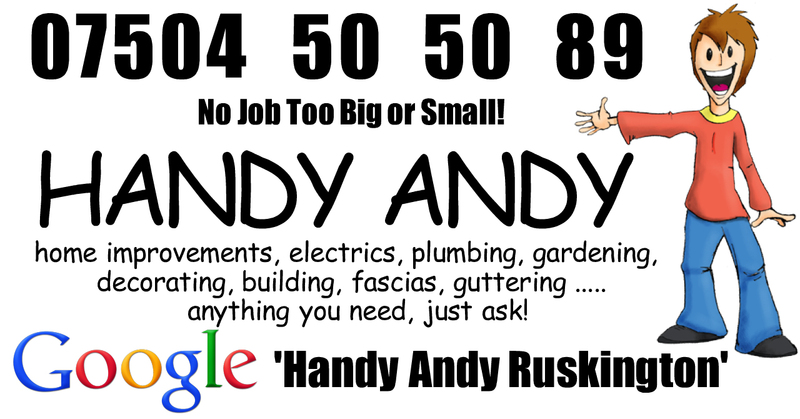 Well the brand new Decals for the Handy Andy Ruskington should be here in a couple of days, very exciting for me! This time of year is hard for myself, the wind is howling and the temperature is rarely above freezing! Not the perfect time for building walls, gardening projects and kitchen / bathroom fit outs! Now is probably the right time to have your gutters cleaned, gardens cleared and general tidying up around the gardens. Also you need to be thinking about the first grass cut of the season, I know that the grass this year has not stopped growing! Now is also a good time to have your shed felted. Re-Felting will preserve your shed for many years to come. Don't do what many do and think It will be OK until later, once the wood gets the water in there the laminates will split and the wood will rot. Give me a call and get yourself a free quote.